I am in Africa. Edward Snowden seems to be doing a super job without me, so I have been working on my book and not burdening you with superfluous comment. I have written this today which is too much of a digression and almost certainly will get cut out of the book, and is in any case a first draft. 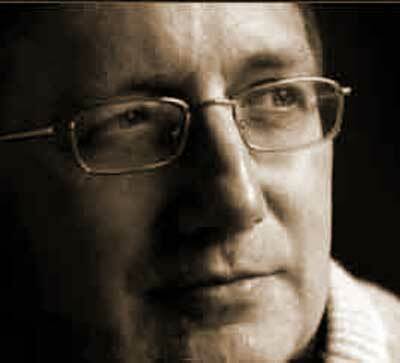 But I thought it was quite interesting – and does bear tangentially on Mr Snowden. 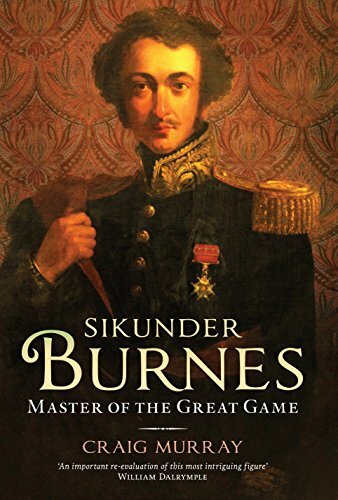 We need at this stage to step back and take a look at the wider context in which Burnes was operating, and particularly the question of how British and Russian Imperial expansion threatened to drive the two powers into conflict to the north of the Indian sub-continent. British people, myself included, have to concentrate their intellectual resources to get a clear conceptualisation of the Russian Empire, which can be obscured from our view by a number of factors. Firstly, from our own history and geography, we think of colonies as something reached exclusively by ship. The idea that colonies can be a contiguous land mass with the metropolitan, yet still in effect colonies, is not a pre-received idea for us. Russia’s absorption of the entirely alien cultures of the vast Centre, Siberian belt, North and North-west of Asia was undoubtedly a massive colonial expansion. Working in Central Asia today, for example, political societal and economic developments could only be understood as a post-colonial situation. Crucially, the broad mass of people were themselves entirely of the view that they were former colonised1, returned to independence. But I found a great many western and particularly British officials had much trouble with the concept. Secondly, the transmutation of the Russian Empire into the Soviet Union confused the issue, in bringing a spurious equality to the different Soviet Socialist Republics. In particular, this brought members of the political elite from the Asian areas within reach of holding political power at the centre. But that is not at all unusual for the history of Empires in general, particular as they mature. The economic relationships within the Soviet Union, with the Asian regions very much operating as primarily exporters of raw commodity or goods with little value added, followed a well-worn colonial pattern even if operated by central planning rather than overt capitalism. But many, looking at the Soviet Union itself (not including the occupied states of the Eastern bloc) did not realise the Soviet Union in itself was an Empire incorporating colonial structures. Britain’s claim that Russia was excluded from the “civilizing mission” of Empire because it was a despotism, when British officials were arbitrarily blowing resisting Indians into many pieces from the muzzles of cannon while practising unabashed despotism in India, is something those of my age and older were educated not to question. The notion that the culture of Tolstoy, Dostoevsky, Chekhov and Tchaikovsky is not European is self-evidently wrong. I found that walking around the 19th century Russian cantonments of Margilan in the Ferghana Valley, with its beautiful little theatre for amateur dramatics, its racecourse and mess hall, the architecture could have been a British hill station. It even has its Freemasons’ Lodge. So Russia and Britain were indeed expanding their colonial possessions in Asia, and their boundaries were pushing ever closer towards each other. They were both part of the same historical process, and as a non-determinist I find it difficult to explain why in each case the expansion very often went ahead against the express wishes of the metropolitan authorities, but that takes us too far away from Alexander. The Russophobes therefore were not talking absolute nonsense. Nobody knew how far North-west the British might push and how far South-east the Russians. Nor was it physically impossible for a Russian army to invade India through Afghanistan and/or Persia. Babur, Nadir Shah and Ahmed Shah had all done that. The logistics were difficult, but not impossible. Where the Russophobes got it seriously wrong was their political analysis. A successful Russian invasion of India would have taken enormous resources and been a massive strain on the Russian state, and would certainly have precipitated a major European war. Russia’s economy was still recovering from Napoleonic devastation. Her foreign policy priorities were focused on the richer and more central lands of the Mediterranean and Caspian. Russia’s desire to divest Persia and Ottoman Turkey of vast provinces and to become a Mediterranean power was the consuming passion of the Tsar’s ministers, and Nesselrode in particular. Bringing Central Asia into play may occasionally be a useful bargaining chip with Britain, but was never more than that. It is a peculiar fact that for two hundred years, fear of an attack by Russia has been a major factor in British foreign and above all defence policy, and was for much of my lifetime the factor that outweighed all others. Vast sums of the nation’s money have been squandered on guarding against this illusory threat, and that is still the unacknowledged purpose of the ruinously expensive and entirely redundant Trident missile system today. Yet on any rational analysis, Russia has never had any incentive to attack the United Kingdom, and never has remotely intended to attack the United Kingdom. However an awful lot of arms manufacturers and salesmen have become exceedingly wealthy, as have an awful lot of politicians, while the military have had pleasant careers.